No one expects a car accident to occur. When it does, injured victims are generally not prepared for the amount of effort required in dealing with insurance companies, or in the hassles that frequently arise when attempting to settle a claim. This is why having an experienced car accident attorney on your side is so important. While you focus on recovering from your injuries, we work to help you get the maximum amount you are entitled to in your claim. 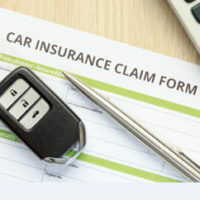 Insure.com advises that dealing with insurance companies under any circumstances can be a hassle. Reviewing policy coverages and benefit amounts, answering their questions, and submitting the appropriate forms are all time consuming tasks, diverting you from getting the rest and recuperation you need to recover. Our Bradenton car accident attorneys are well respected in the legal community, and have extensive experience in dealing with insurers. We can deal with their representatives on your behalf, ensuring your legal rights and best interests are protected throughout the process. Insurance companies may attempt to deny your claim, stating that you were at fault, or may undervalue the total amount of compensation you are entitled to. Our car accident attorneys conduct our own investigations, gathering the evidence needed to support your claim. This includes police reports, photos or videotape from the scene, witness statements, and testimony from medical and accident reconstruction experts. It is not uncommon for insurers to offer an immediate settlement offer, at an amount that is far below what you are entitled to. Based on your injuries, the damages you suffer, and your medical prognosis, we can help negotiate a settlement that covers your current losses, while providing for any ongoing expenses you are likely to incur. In the event your claim is denied or the insurance company fails to offer a reasonable settlement amount, we can advise you on your rights in taking your case to trial. As one of the few certified Florida trial attorneys in the area, we can assist you in getting additional types of compensation, such as pain and suffering or punitive damages, which would otherwise not be available through an insurance claim. At the Law Office of Steven G. Lavely, our Bradenton car accident attorneys work hard to help you get the total amount of compensation you need to recover. Contact our office today and request a consultation to discuss your case today.